PLUS Bonus 8th Resource CD: Shelley guides you on goal setting techniques, exercises on visualisation, relaxation, freeing your mind from the noise and our sabotaging self-talk and how to program yourself for the future… PLUS 21 Champion Motivations personally ‘taylor-made’ just for you! The whole package is designed for you to re-evaluate and believe your future isn’t just about you accomplishing some goals… it actually provides a whole new direction in your life and that is absolutely sensationally perfect! A Seven week online coaching program of 'Taylor-Made' workouts and Champion strategies, coached by the World Champ Shelley herself. Personally Taylor-Made for you – so you can NOW start to achieve your goals for YOUR life... A4 in size and laminated. You can write your goals, set a date for achievement, and sign as your personal commitment. As you achieve them - wipe it clean and your set, ready to go for new goals. 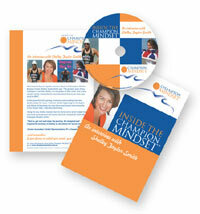 Audio CD - Learn how Shelley created her Champion Mindset and the secrets of success! A powerful and inspiring, emotional and revealing interview, Shelley shares her story and elations of becoming the most decorated woman internationally in her chosen field – Marathon Swimming. Along the way Shelley realised that the mental drive which helped her overcome great physical and mental adversity created the Taylor-Made Champion Mindset™ within. 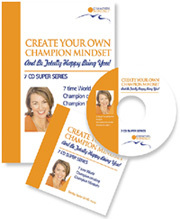 How to Become the Champion of your own world CD & Workbook will empower you to create the world you have always dreamed of. Shelley personally shows you how to change your world, make the decisions you want to fully live your life, challenge your mindset and exercise the power of your mind! Start learning NOW, Taylor-Made for you, how to achieve YOUR goals for YOUR life. Taylor-Made Solutions Bookmark Keep in touch with Your Champion Mindset with the bookmark. Taylor-Made Solutions Bookmark x 10. Keep in touch with Your Champion Mindset with these bookmarks. From the dropdown select Shipping for Australia, or other for international. 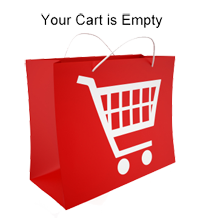 Click Checkout With Paypal button to finalise your purchase with either Paypal or credit card.